Anything is possible when you give someone a chance. John's Crazy Socks was inspired by co-founder John Lee Cronin, a young man with Down Syndrome. John's affinity for crazy socks paired with his love of making people smile made their mission clear; to spread happiness to the world. We even had them make us a special pair for Masterman's! And... all profits from the sale of these socks are donated to the Special Olympics. Happiness is a pair of socks! 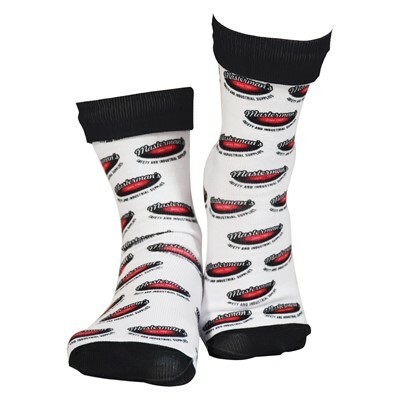 Visit John's Crazy Socks and shop around. When you find something you like, use the discount code MASTERMANS at checkout for a 10% savings on your order!